A wise customer and friend told me two things almost 25 years ago. “You will go broke buying a bargain; but, you will never go broke making a profit.” Those words resonant in my mind, and guide my actions. On “cyber-Monday” last November I received many offers in emails, but took advantage of only two. 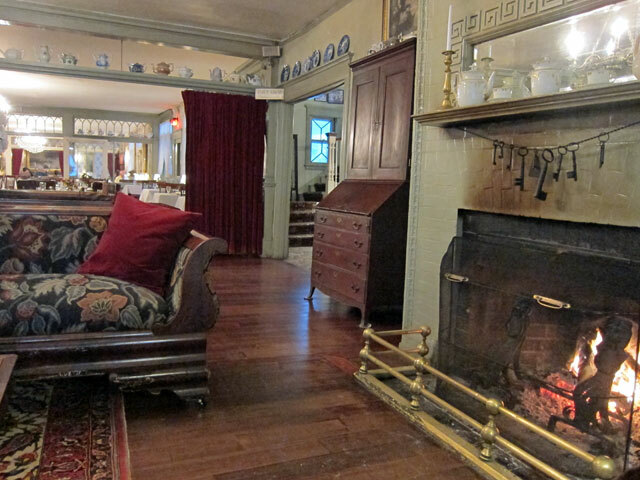 If you are going anyway to a restaurant, or The Red Lion Inn, and you can purchase a gift card and get 20% more – that is a “no-brainer.” For my $250 expenditure at The Red Lion Inn, I got a $250 gift card and a “free” second one for $50. 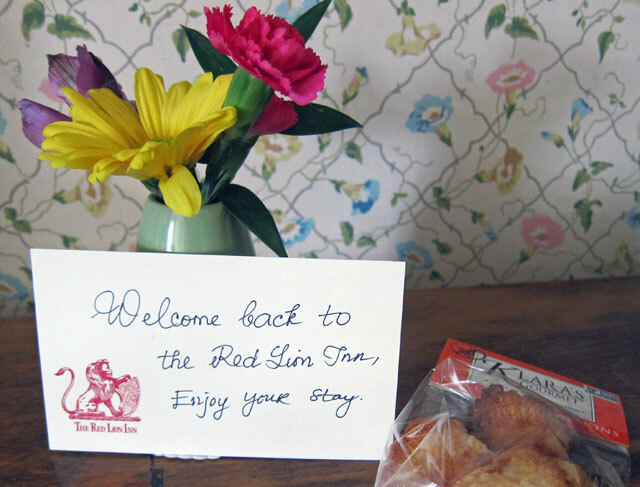 Then, on Leap Day 2016 an email arrived from The Red Lion Inn, “book a new reservation by the 29th of March by 11:29 PM, and get 29% off on your room. “Duh!! Another ‘no-brainer,’ I am going anyway.” I called, booked, and using my gift cards with the 29% Leap Year offer, I am getting 49% off on my room (in fact, two nights, two $50 plus dinners, wine, etc – cost me $18.95 – I paid cash! They still accept it.). For the last several years I have been treating myself at birthday time at the Inn, and have now been staying here for over twenty years. And, this is my spot in the lobby – woe be to anyone trying to sit here. And, that is because I still hear her footsteps coming down the stairs. I was settled into the lobby at 4PM Sunday night, dinner at 7PM, back to the lobby to read. Following sleep, back to my spot by 8:30 AM with coffee, and breakfast at 9:30. 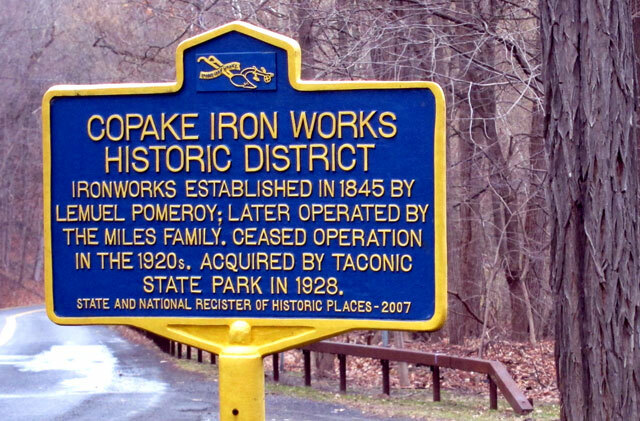 I have spent many of my visits here exploring back roads between here and the Hudson River. Last holiday here I explored new areas in Dutchess County, and this time I decided to spend Monday in the hills of Columbia County seeing towns I had not seen. So (get out your map) first it was down my favorite US Route 7 to Great Barrington to see what has changed (hardly anything in 50+ years), and a stop at an antique shop. 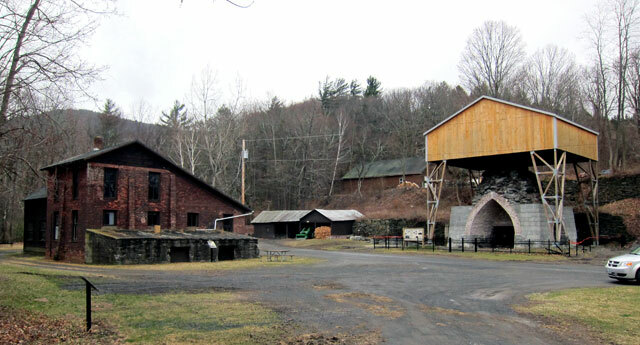 Then crossing into Connecticut, I followed US 44 from Canaan west to Millerton, NY, for another antique center. Both spots have provided birthday presents in the past – but not his time. Hey, I need to get rid of stuff, but I do still need to “spoil myself.” Next came climbs over the hills in farm county with what must be wonderful views when it is not overcast and drizzling I did see enough to know that. Heading north on NY 22, I turned left onto backroads to Ancramdale and Ancram, both off the “beaten path” and not previously been visited. 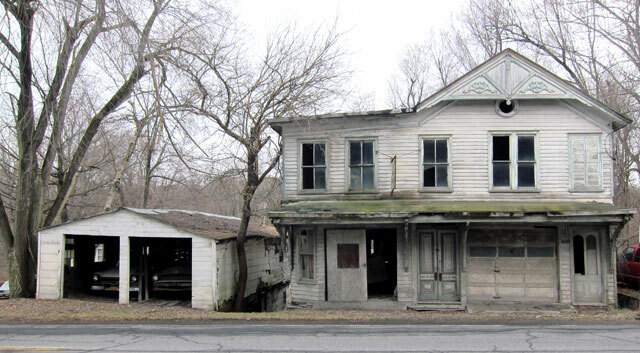 Here is the old general store in Ancramdale – now a lunch stop. and, then I turned around and saw an Octagon House. 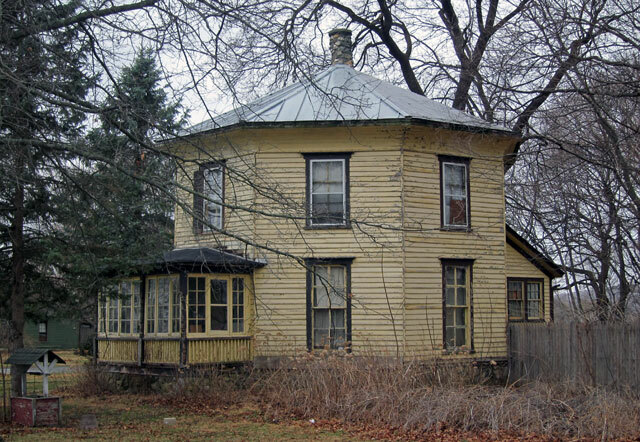 Popularized in the 1850s by Orson Fowler, they were efficient with more light and space utilization. You may recall I stayed in one last year in New Bedford, Massachusetts, and in October 2014 toured a fantastic one at the Genesee County Village and Museum in Mumford, NY . It was then on to Ancram via Route 82. 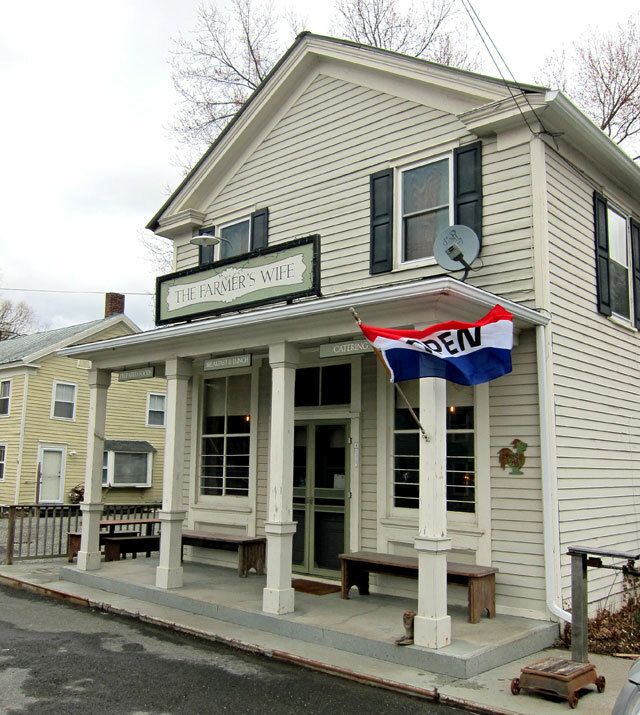 In my on-line research I saw a fantastic general store in the center of town – and FOR SALE for a palty $135,000. 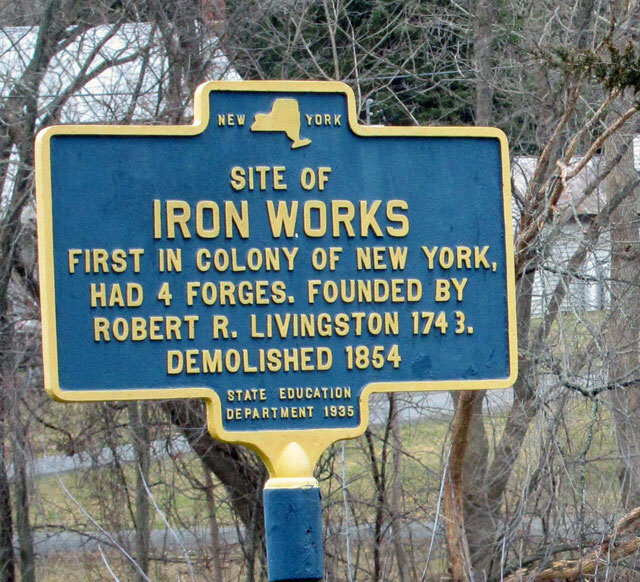 Ancram, named for the ancestral Scotland home of the noted Livingston family, had an early iron works. 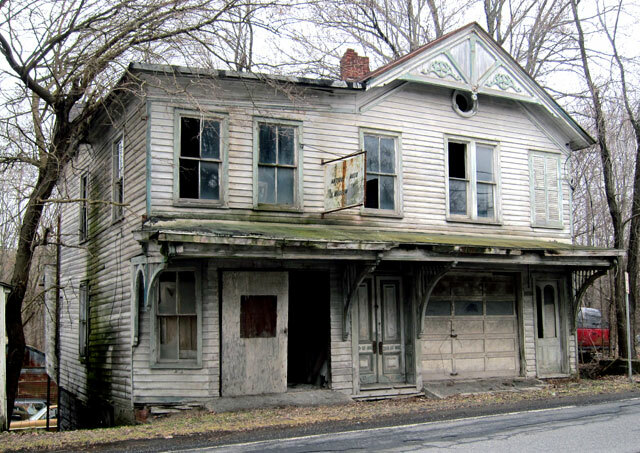 There is a “new” paper mill now on that site, and sadly I will not buy the general store, as I would never make enough money — but it would be a bucolic life. (HEY – don’t I have that here in Walpole!!!) Here is the perfect general store – SIMONS GENERAL STORE built 1873-4.
and some more images – I know you want them, and click on any for a larger slide show !!! 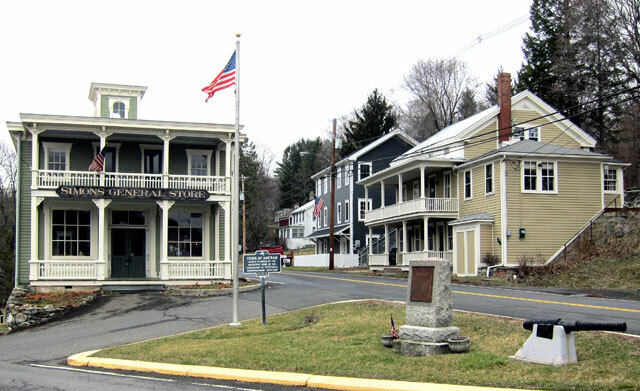 It was then north on County Road 7 to Copake, and what would I see in the little village? 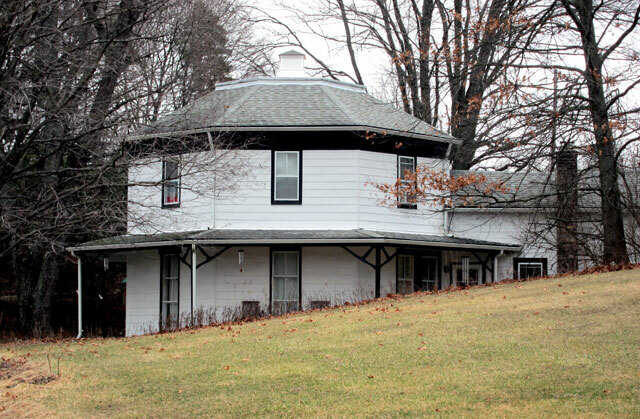 yes (mark your card if you guessed correctly) another Octagon House. Found in the Blower House and shop is this original mold for a cannon. The office. Note the brick building in the rear for black powder. Brick sides and wood roof, thus if an explosion, it would be directed up, hopefully protecting people. And, a future hiking spot. Site of an old estate, and then resort. Now returned to the wild. Continuing north on NY 22, I crossed NY 23 which heads east to Great Barrington, and west to Hudson, NY. Been on 23 before, but did not recall continuing north on 22. The plan, looking at the map, was to turn left on County Road 21 to see Harlemville, then Philmont, before turning north on County Road 9 to Ghent and Chatham. Interesting territory, not much, and fortunately I missed the sign for Route 9 — BECAUSE – Wouldn’t you stop when the sign reads ANTIQUE AUTO MUSEUM? Getting out of the car, the building to the left housed (using the term loosely) a 1957 Ford Fairlane sedan, and a 1956 Ford Convertible. 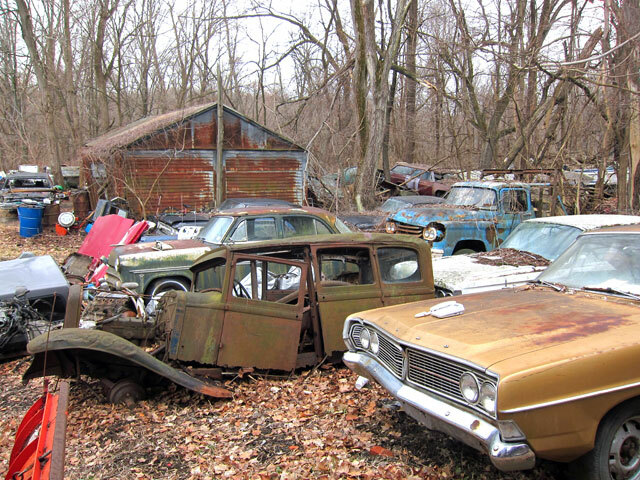 Continuing to walk along the road to the left I gazed upon relics and more relics – nothing really too old, and nothing at this point salvageable. Henry, the owner’s son, saw me and wandered out to chat. We began to share stories as I gazed about the yard. The rear was chopped off, replaced with a wooden homemade truck body, but the skin for the rear was folded in. Henry said he moved it there from downstairs about 6 months ago, but from the look of the dust and dirt I would say 12 years and 6 months. Henry did not make sense on a number of things, but was fun. Needless to say, I am still looking for my Touring Car “driver” to add to my harem. We said goodbye, and then I saw the sign for Route 9 a few hundred feet back from the direction I had come from. It was off to Ghent (now been there) and into Chatham which I have visited before on RLI journeys. I looped over NY 295 to NY 22, and headed south to West Stockbridge, and thence “back home.” It was lobby time for me. I have a routine which by now you know, so I will not repeat. The plan for Tuesday was to head to the NY State Museum in Albany. The problem with touring in March is that most of what I want to see is not open until sometime in April, or after Memorial Day. I found the museum was only closed on Mondays. But, when I awoke I did not feel up to a museum, and with my coffee (yes, mark your card again – back in my spot in the lobby) I read my Albany related literature. One brochure I had brought was about all there is to do on US Route 4 from Troy to Whitehall — and, yes not open until April or Memorial Day. So, I decided to postpose Albany and the museum, and plan a sojourn in a great B&B in the Troy or Saratoga area to explore there for a couple days once all is open. Leaving The Red Lion Inn I went north to Lenox, then backroads over to NY Route 22 and north to NY 2 east to Williamstown, Massachusetts. Then I checked out Bennington spots, and headed across VT 9 towards home. I found longtime friend, Gary Austin, in his book shop in Wilmington, and spent an hour or so catching up with him. 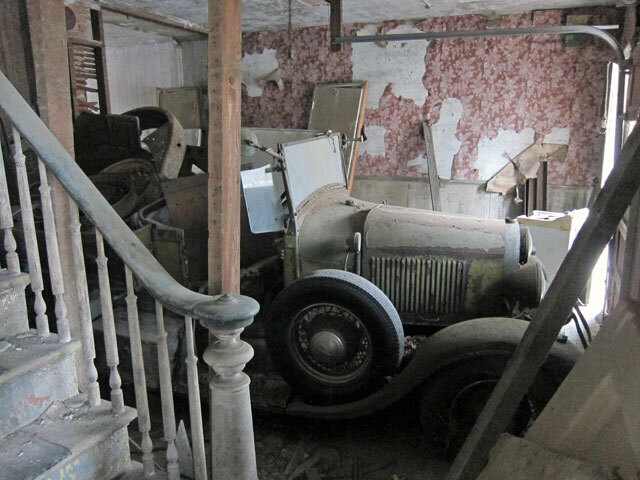 This entry was posted in Day (or maybe two) Trips, The Red Lion Inn, Stockbridge, Massachusetts and tagged Ancram, Ancramdale, Copake Falls, Copake Ironworks, Massachusetts, Model A Ford, NY, Octagon House, Red Lion Inn, Stockbridge. Bookmark the permalink. For a minute there I thought you had your touring car! Great pictures and stories as always Ray. Hi Ray. Great little trip and as always I love to hear about the Red Lion Inn. Lots of wonderful memories of Cathy and yourself there. Looking forward to getting out from under winter, though it has been mild, way too long.